The Texas Freedom Network-released study shows the content in some of social studies textbook submitted to the Texas State Board of Education is deeply flawed and biased. The study points to problems with the Texas Essential Knowledge and Skills that publishers use as an outline. The Texas Freedom Network’s Kathy Miller said their team of university professors found serious distortions of history on topics ranging from religion and democracy to free enterprise and affirmative action, which she said can be traced back to the social studies standards set by the SBOE in 2010. “The requirement that publishers produce books based on the deeply flawed and politicized curriculum standards is the overarching problem with the materials up for adoption,” Miller said. Southern Methodist University history professor Edward Countryman headed up the study and cited some errors that were based on the TEKS. “One major TEKS theme is the benefits of free enterprise around the globe and across all time." Countryman said. "Citing unnamed 'historians', the Houghton Mifflin text describes the Inca civilization before the Spaniards as a 'welfare-state with huge bureaucracy' and suggested this is one of the reasons the civilization fell." Countryman said the TEKS also calls for textbooks to list slavery as one of the last reasons for the U.S. Civil War. But SBOE member David Bradley defended the standards used to formulate next year’s social studies textbooks. “They are a good thing because conservatives on the board insisted on including things like the inclusion of American exceptionalism, founding fathers and capitalism," Bradley said. The state board will take up public comment on the issue at their September 16 hearing. 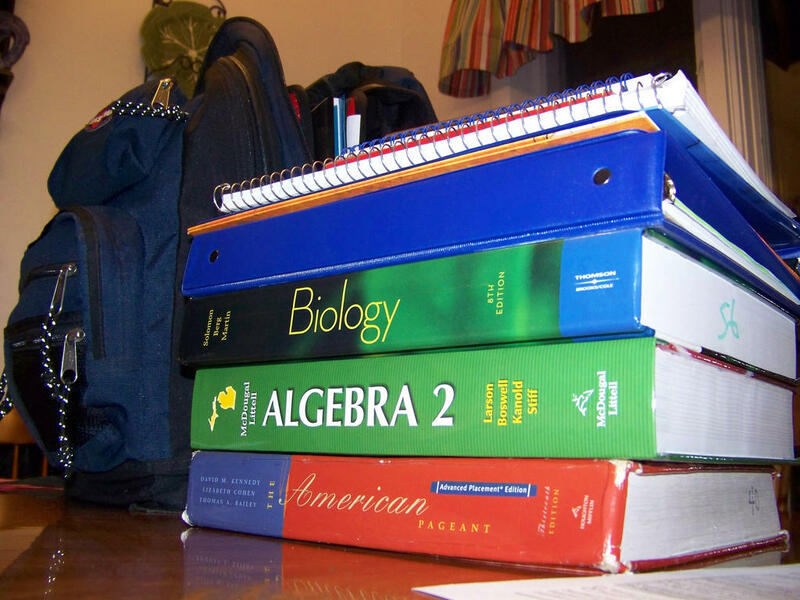 A final vote on which textbooks get adopted happens in November. The Texas State Board of Education has revamped how they select people to review school textbooks prior to their adoption. Some on the board were critical of how panelists were selected during the adoption of this year’s science textbook. During the last round of book reviews it was revealed that some of those selected to review textbooks did not have a background in biology and were supporting teaching creationism, attempting to skew how books explained the Theory of Evolution. The Texas Board of Education, which has long been an ideological battleground for the teaching of evolution, says it will limit the use of citizen review panels and instead give priority to teachers in determining science and history curricula. Because Texas public schools represent such a large market for textbook publishers, the state has an outsized influence on what is taught in the rest of the country. 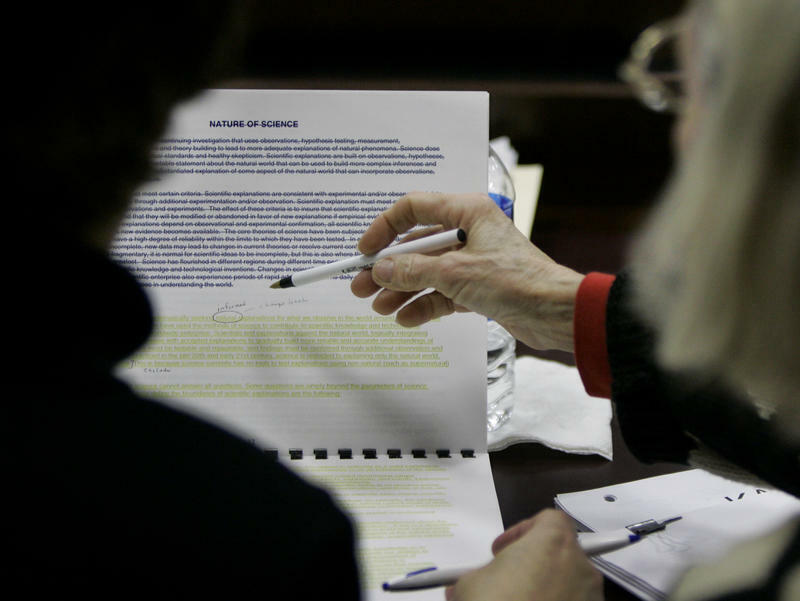 The battle over how evolution will be presented for all public school students in Texas led to rallies and heated testimony during a State Board of Education meeting. Much of the controversy has to do with a group of people who are proponents of "creationism" that are trying to alter the way evolution is presented in next year’s biology textbook, questioning the soundness of the theory. Dan Quinn is with the Texas Freedom Network, the group that rallied against the alteration of the materials.